El tema "A breath in the eyes of eternity" interpretado por As I Lay Dying pertenece a su disco "Beneath the encasing of ashes". 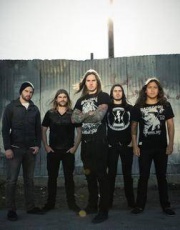 Ahora puedes escuchar y aprender la canción "A breath in the eyes of eternity" de As I Lay Dying. Escuchar As I Lay Dying A breath in the eyes of eternity Lyric Video.